When it comes to gifts, I love ones that are unique and handmade. They just give the gift recipient that warm fuzzy feeling that you put effort into finding the perfect gift for them and didn't just pick something generic off of a store shelf. Our teams of local art experts based in every region, provide artisans with all the backup they need. From product development advice, to quality control assistance, we are there to make their listing process as smooth as possible. Watch video. If you're like us, you care about who you're buying from, and who you're supporting. This is why we go out of our way to capture the real artisan story. On every product page you'll find a portrait and detailed biography of each artist. 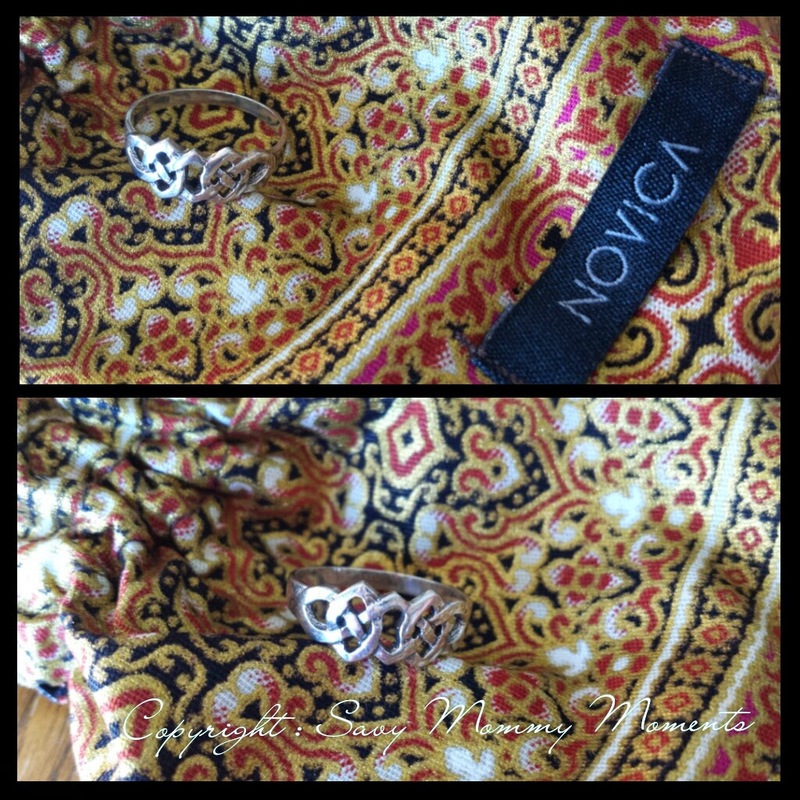 I was given the opportunity to shop on the Novica site. It was really so much fun because they have such a beautiful array of handmade artisan items. Jewelry boxes, leather handbags, sterling silver necklaces, drinking glasses and much more! After perusing for a few days, I finally decided that I would use the opportunity to purchase a ring to wear in place of my wedding rings. The reason I need something to wear there is that with dealing with my 3 little ones my rings tend to snag their clothing or are rough on their delicate skin. But, I don't like not wearing something that symbolizes the love and commitment I have with Savy Daddy. There are tons of rings that are beautiful on the site and it was hard to choose. I loved that the website gives you the ability to filter by many different attributes including region of origin, animals, price and many more. The ring I decided on is the Lover's Knot Fair Trade Sterling Silver Band Ring. When the ring arrived it was wrapped in a beautiful linen satchel which added to the feel of receiving something that was handcrafted. Inside the satchel was the ring, along with more information on the artisan who made it and where it came from. When I put the ring on my finger, it fit perfectly. 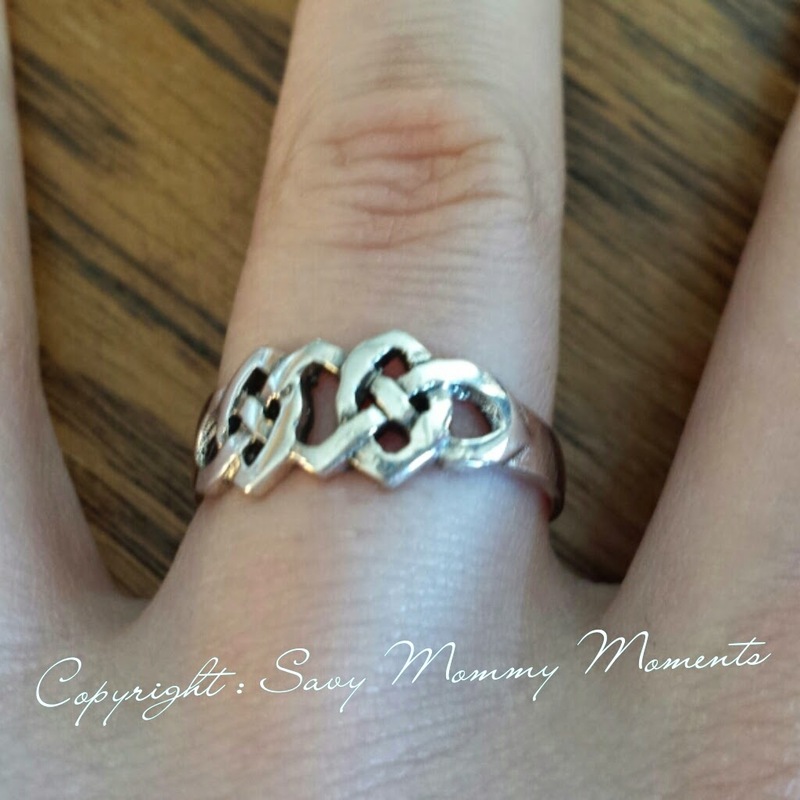 It is a nice sterling silver material that is very pretty yet not overwhelming on my finger. It is very comfortable to wear every day and perfectly safe to have around my little ones. Even Savy Daddy said he liked it when I put it on. I really love that it's fair trade sterling silver and a beautiful and intricate design that holds special meaning. Overall, I really enjoyed browsing the Novica site and seeing all of the beautiful artisan items that have. It's awesome that these change regularly as they gain more artisans to work with all over the world! I highly recommend checking out their website for all your gift-giving needs. Learn More: You can browse all of their beautiful items on the Novica website today! Also, I encourage you to read about their curation process on their site. It's really interesting to know more about the behind the scenes work and how they secure artisans. 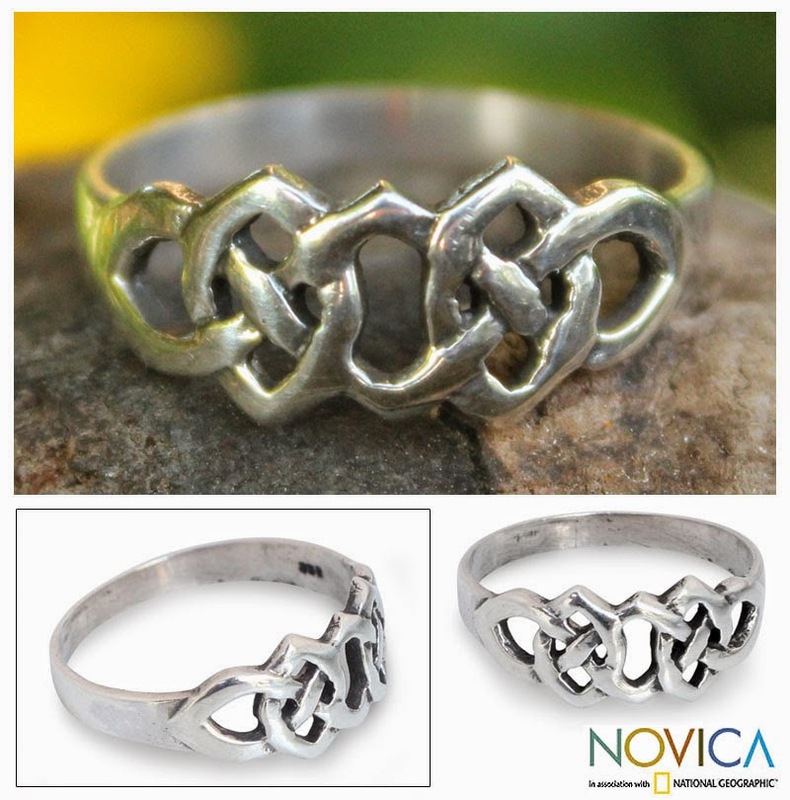 Win: Enter below to win a $37.50 online gift code to use on the Novica website! This giveaway is open to anyone Worldwide. Please note, shipping available only to the countries in the list located here. Giveaway ends at 11:59pm CST on 6/4/14. I would love to buy the tiger trance necklace. It is adorable. I really like the blue topaz tree frog ring! I like that it's stackable, too. I like the Jade Thai Handmade Cotton Blouse.